Home / News and Offers / Uncategorized / It’s almost THAT time of the year again…. It’s almost THAT time of the year again…. The time of year where we begin to wind down our summer operations here at Le Chant, and our minds start to turn towards winter projects. Yes, we’ve still got campers on site, and we still have gîte guests booked in, and all are enjoying this lovely ‘indian summer’ we’re experiencing at the moment. High points this year have included two weddings – one was our own daughter’s, which was just brilliant, and the other was for guests who we know will become friends. Both weddings were celebrated with much love and laughter, in surroundings described as ‘magical’! Needless to say, Syb & I were thrilled. We were also honoured to be the destination of choice for so many family reunions this summer, not least of which was for the lady who originally bought Le Chant, along with her husband, with the vision of turning a dilapidated old farmhouse with outbuildings into the paradise we believe it is now. Her friends and family came from as far afield as Canada, Australia, USA and Yorkshire to make sure her 80th birthday went with a bang! After a gap of over 20 years, needless to say, all were stunned and delighted with the changes since their departure. Many of the people we’ve become good friends with in our thirteen years as owners came to say hello, and shared in her celebrations too! All that, and we still have a birthday celebration for our lovely neighbour’s daughter to arrange and host, but it won’t be long before we start to slip into winter mode. The barn will once again become a workshop and a wood store for the winter. We’ll be mending, painting, building, varnishing, building….improving! Well…..there’s some exciting news on the horizon, and we’ll be making some announcements on our Facebook page, so please do stay tuned for those. You can click on the link on any of the web pages where you see the Facebook logo – please do say hello! In the meantime though, Syb & I would like to thank each and every one of you that visited this year. 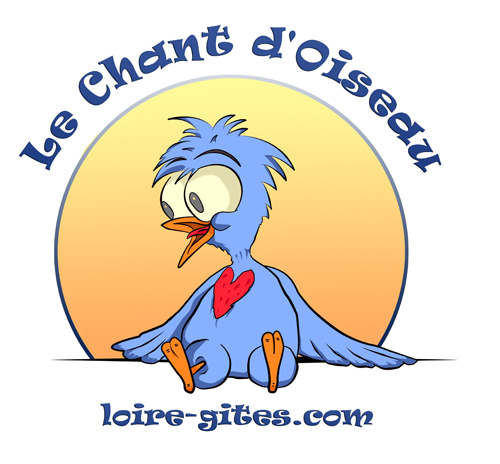 You all contributed so much to Le Chant by way of your laughter, your kindness, your lovely reviews and your personalities, that it’s difficult to single any one out, but we hold you all dearly in our memory bank, and we look forward to catching up with you again in the near future: either here at Le Chant, or on social media! It’s been our absolute pleasure to host you all at our home – thank you, sincerely. Previous article Massive reductions – find a bargain holiday!